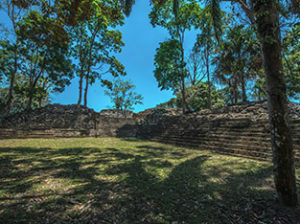 Lubaantun, which in modern Mayan means “Place of Fallen Stones” is the closest Mayan ruins to Punta Gorda, located 13 miles west at the head of the Rio Grande River. 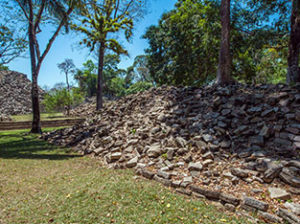 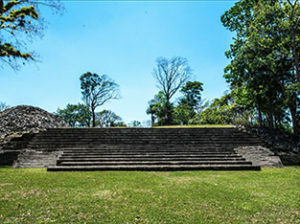 It is one of the larger sites in Belize and encompasses 14 structures, including several ball courts. 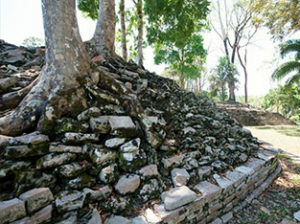 It is unique because the stone blocks are fitted together “Inca-style”, carefully slotted together without mortar. 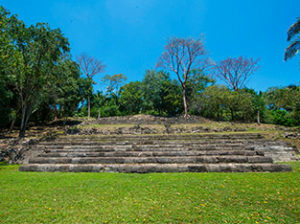 Lubaantun is also the site of the crystal skull controversy. 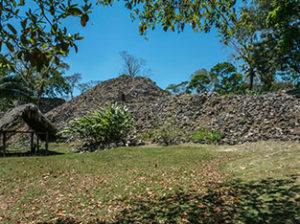 Although the crystal skull was found at the site in 1926, many argue that it was simply planted there by one of the archaeologists for his daughter to find and are not a legitimate artifact of the site. 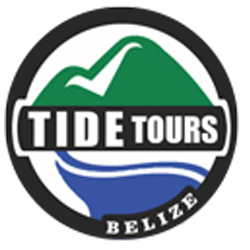 The site is located by the Maya village of San Pedro Columbia in rural Toledo, where you can experience many other interesting activities, including chocolate making, cultural experience, crafts making, and local foods.